Heart disease is America’s number one killer, as it is in most of the developed world, for that matter. Not so long ago, it was considered essentially inevitable that aging equated with a mounting risk of cardiovascular disease. But times have changed. Although heart disease remains our number one killer, we have learned a great deal in the past half century about the underlying causes of heart disease. And that means we’ve also learned a great deal about how to combat it. Most people are aware, for example, that having high blood pressure puts one at risk for heart disease. Doctors routinely monitor their patients’ blood pressure and prescribe treatments to help keep it under control. Many people are also aware that it’s important to know—and control—one’s blood lipid levels. “Bad” LDL-cholesterol levels should be minimized, while “good” HDL-cholesterol levels are desirable, and should be encouraged. People with abnormal blood lipids are frequently advised to take a statin drug to help reduce high LDL-cholesterol levels. Most people seem to understand, too, that maintaining healthy blood sugar levels is also important. When blood sugar levels routinely rise too high, a person may be at risk for type 2 diabetes, which ultimately takes a further toll on the health of blood vessels. And it’s certainly no secret that smoking is extremely harmful. Among other things, it contributes to the risk of heart disease. But did you know that being obese is also considered an independent risk factor for heart disease? How about being sedentary? As it turns out, just being inactive also puts you at risk for heart disease. A pattern emerges when you view these risk factors together. With the exception of tobacco smoking, they’re all inter-related: Inactivity combined with a poor diet leads to excess weight gain, high blood pressure, abnormal blood lipid levels, and sometimes even type 2 diabetes. Sadly, many Americans are obese, eat a poor diet, and don’t get enough exercise. So what can you do to minimize your heart disease risk factors? It’s actually simpler than you might think. Heart surgery procedures are not inevitable. In fact, interventions such as coronary bypass or stent implantation have never been proven superior to lifestyle changes. That’s because surgical procedures address some of the immediate symptoms of a larger problem, without addressing underlying disease. But lifestyle changes get to the heart of the problem, if you will, helping to reverse the disease processes underlying heart disease. Cardiovascular disease includes coronary heart disease (CHD, which manifests as heart attack) and stroke. It begins, often years before symptoms become apparent, with a process called endothelial dysfunction. The endothelium is a specialized, delicate tissue just one cell thick, which lines the interior of one’s blood vessels. Smoking, poor diet, inactivity and other negative behaviors may all affect the health of this tissue. Left untreated, endothelial dysfunction usually progresses to atherosclerosis, which can eventually lead to clots that can block blood flow, triggering heart attack or stroke. The trick is to engage in healthful behaviors throughout life (although it’s never too late to begin! ), to prevent this damage from occurring, or to reverse damage that has already occurred. Eating a good diet is an excellent place to start. Research shows that people who consume a diet rich in plant foods—including fruits, nuts, grains, vegetables, herbs, legumes, etc.—live longer than people who do not. Even better, adding fish to a vegetarian diet evidently results in still better health outcomes. Plant foods are rich in many of the essential nutrients we all require. But they also contain phytonutrients; plant compounds such as antioxidants and anti-inflammatory chemicals, which help combat disease. Antioxidants in plant foods may even help prevent the oxidation of lipids in the body. As it turns out, oxidized lipids are the most harmful blood lipids of all. A healthy lifestyle involves getting plenty of sleep (adults require from seven to nine hours every 24 hours), avoiding smoking, drinking only in moderation (a limited amount of alcohol daily may actually boost heart health), and emotional support from friends and family. Exercise is crucial for health. Being sedentary is now recognized as an independent risk factor for heart disease. Sitting can literally kill you. The antidote is to get up and move frequently throughout the day. Engaging in intensive exercise for brief periods may also yield significant benefits. 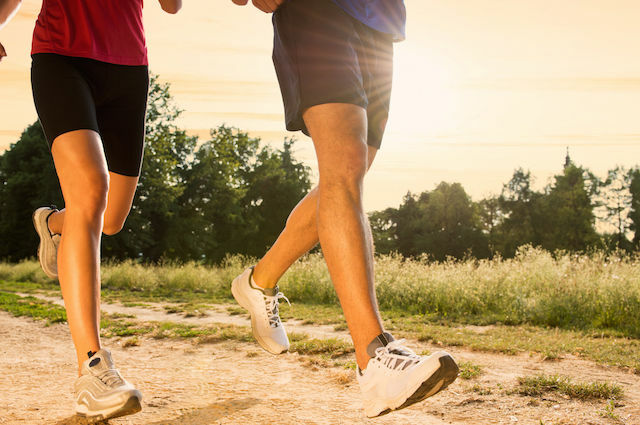 Exercise directly benefits the health of the endothelium through various mechanisms. Basically, taking care of your heart health means taking care of your body. Your body needs plenty of fresh fruits, vegetables and other plant foods to thrive. Eating cold-water fish ensures you’ll get an adequate supply of the anti-inflammatory essential nutrients known as omega-3 fatty acids. If you smoke, seek help to stop. If you hate exercise, consider other ways to fit more activity into your life on a daily basis. Just taking the stairs rather than the elevator can help. If you are overweight, consider asking your doctor for advice about losing weight. And be sure to monitor, and control, your blood pressure, blood lipid levels, and blood sugar levels. Ahmad FS, Ning H, et al. Hypertension, Obesity, Diabetes, and Heart Failure-Free Survival: The Cardiovascular Disease Lifetime Risk Pooling Project. JACC Heart Fail. 2016 Dec;4(12):911-919. doi: 10.1016/j.jchf.2016.08.001. Epub 2016 Oct 12. Davinelli S, Scapagnini G. Polyphenols: a Promising Nutritional Approach to Prevent or Reduce the Progression of Prehypertension. High Blood Press Cardiovasc Prev. 2016 Sep;23(3):197-202. doi: 10.1007/s40292-016-0149-0. Epub 2016 Apr 26. Lands B. Benefit–Risk Assessment of Fish Oil in Preventing Cardiovascular Disease. Drug Safety. 2016;39:787-799. doi:10.1007/s40264-016-0438-5. Zomer E, Leach R, et al. Effectiveness and cost-effectiveness of interventions that cause weight loss and reduce the risk of cardiovascular disease. Diabetes Obes Metab. 2017 Jan;19(1):118-124. doi: 10.1111/dom.12792. Epub 2016 Oct 20.